We all have some moments in life which happen quite often and we still like them like they happened for the first time. (Everything is better the first time, right?) 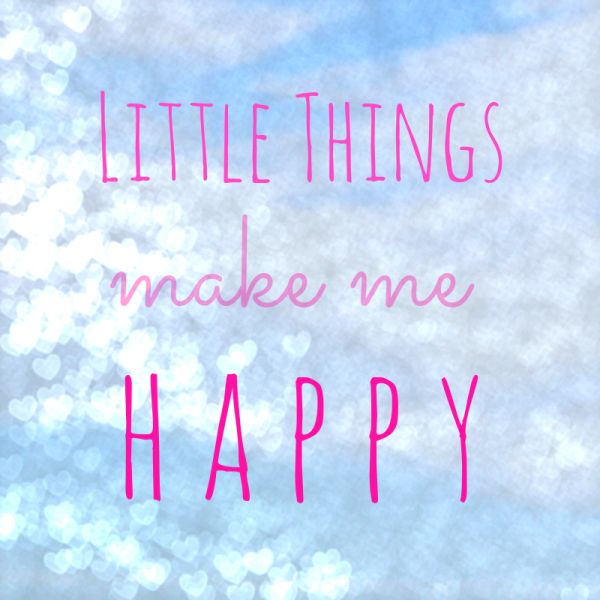 Anyhow, I've been thinking about what little, everyday things make me happy. Here's a list. Turning off my laptop. I love this for two reasons. First, it means that I'm done with my work and I can go out or, usually, to sleep. Second is maybe even more important for me. My laptop produces some weird noises after being turned on for a long time (it's overheating). So I have an external cooler which is so freaking annoying and loud. Turning off my laptop leaves only silence in the room. Finding that perfect water temperature in the shower. I try to find one for the first 5 minutes of the shower (that's actually a lot of time while in the shower). The first water stream I let on myself is the greatest! Hearing some good song you know on the radio. I think this is a pretty common one, but some people don't understand that it's better to hear that one song on the radio than to play it on the Internet. I love this one even more if I'm home alone so I can sing along and dance. Meeting my friends all at the same time. As I go to college, and all my friends come from different sides, I love when we manage to come at the exact same time. We never plan this, so that makes it great. Getting something in the mail just for me. Since I live with my parents, most of the mail is for them (bills and commercials, usually), so I love seeing my name on something. This is usually when I order something from eBay or some other site so the joy is doubled since I'm getting my order too.